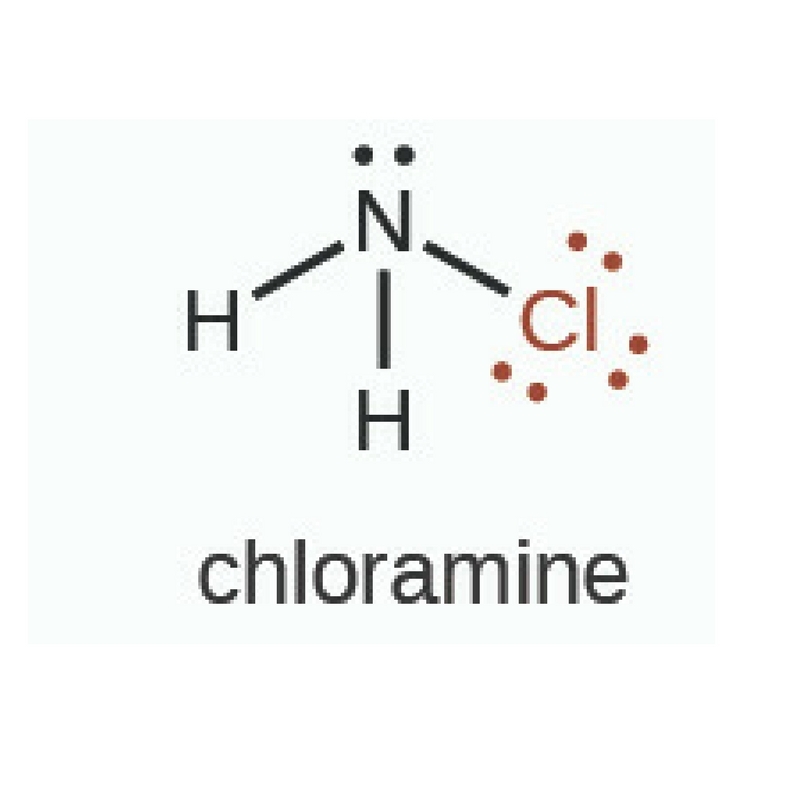 Chloramination is the treatment of drinking water with a chloramine disinfectant. As chloramines are more stable and last longer in water than chlorine, monochloramine is now used mostly as a secondary disinfectant because it provides more effective residual disinfection in the distribution system than chlorination alone. It is used especially where disinfection by-product formation in the distribution system is exceedingly high if free chlorine is used as the secondary disinfectant. monochloramine may be produced on-site from ammonia and chlorine, or a preformed solution of monochloramine may be used. Monochloramine is generated on-site by either adding ammonia to water containing chlorine or adding chlorine (gas or hypochlorite) to water containing ammonia. Chloramine is the weakest disinfectant in this review but is more stable, and thus provides longer lasting residual disinfectant which can be an advantage for distribution systems. Due to its relatively low oxidation potential it is not thought form disinfection by-products at levels of concern. In addition, safety provisions are required to prevent the formation of nitrogen trichloride and the vaporization of ammonia at ambient temperatures. As monochloramine is a weak disinfectant, especially against cysts and viruses, the contact times required for adequate primary disinfection are much longer and higher than with chlorine and because of this chloramines are not generally chosen for primary disinfection. Scottish Water is required to meet strict microbiological standards as laid down in The Public Water Supplies (Scotland) Regulations 2014. Therefore chlorine is used in their water treatment process. Chlorine continues to keep water safe after it leaves the Scottish Water treatment works and travels along the network of pipes on its way to homes and businesses. This helps to ensure that residents in Scotland receive high quality water.